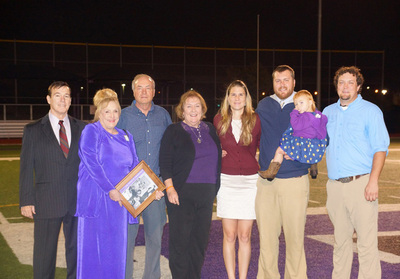 On October 27, 2013, the Bill Allen Football Field at Paschal High School was rededicated in his honor and memory! The whole family was proudly in attendance! Coach Bill Allen and his wife Dorothy were the founders of Blue Mountain Ranch and carried their love of young people and desire to influence them in a positive way to their camping lives. 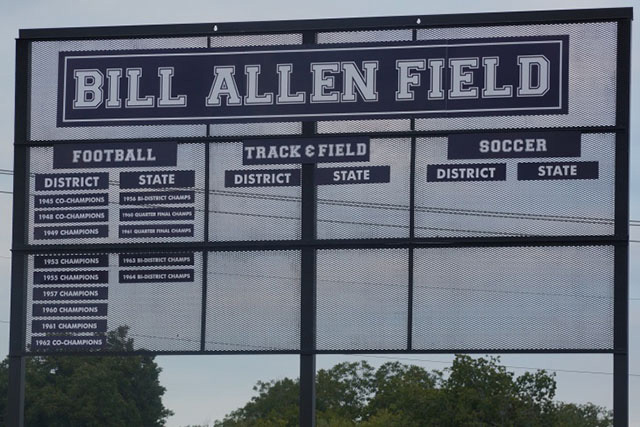 It was wonderful to see so many people come out to honor Coach Allen so many years after he left Paschal and fifteen years after we lost him. 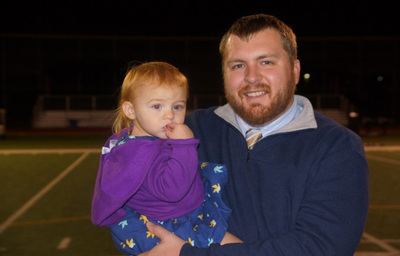 Folks still remember his kind heart and his winning ways as well as his passion for kids! We were sure proud to receive plaques from two members of the State Runner’s up 1961-62 football team! 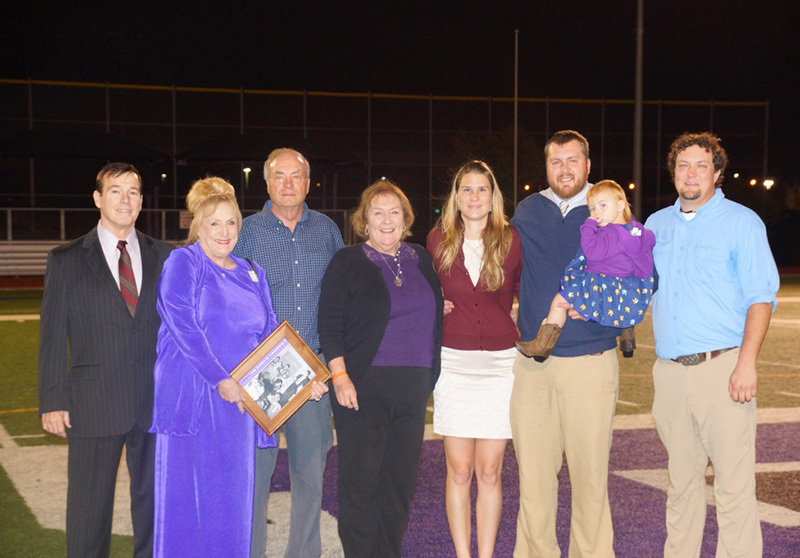 It was wonderful to introduce Harper, Coach Allen's great granddaughter, to all our Fort Worth friends.